The Primary Day School in Bethesda, Maryland, is a school for boys and girls from Pre-Kindergarten through Grade 2. We are the only school in the area that focuses exclusively on children in this unique age group, and we do so for a very important reason. These are the most crucial learning years in children’s lives, a time when they are bursting with potential, ready for quantum leaps of development. At Primary Day, everything we do focuses on helping young children flourish—as learners and as people—during this vitally important time of life. It is my great pleasure to introduce you to our unique, joy-filled, learning environment. This is a school like no other. For over 70 years, we have cultivated the minds and nurtured the spirits of young children from communities throughout greater Washington. Founded as a demonstration school for the Phonovisual Method, a research-based reading program, we are at once traditional and innovative. Ours is a program that is both anchored in a challenging, engaging academic experience and responsive to the ever-changing needs of young learners. In this special place, our children enjoy many accomplishments and forge authentic relationships that last a lifetime. At Primary Day, learning and teaching are more than the mere enjoyment of collecting and sharing facts; learning is an active experience for all members of our community. We see our students as able teachers and our adults as continuous learners. Our teachers are passionate about their work and dedicated to the children in their care. They understand deeply the value of educating young scholars in ways that respond to individual gifts and capitalize on personal passions. Our children are full of energy, curiosity and promise and a Primary Day education nurtures all three to the fullest. This is the place where a solid foundation, grounded in joy, assures future success. This is who we are. What our website cannot fully capture, however, is the warmth of this special community. It is this aspect of Primary Day that most families note as the defining characteristic of this school, and it can only be experienced in person. It is my sincere hope that you will schedule a visit to campus to experience, first-hand this wonderful community that we know so well. We look forward to sharing our passions with you. The Primary Day School, a demonstration school for the Phonovisual Method, is a nondenominational, diverse, coeducational, independent school for children in Pre-Kindergarten through Second Grade. The school’s warm and supportive atmosphere encourages the development of students intellectually, morally, physically and emotionally, according to each child’s gifts and talents. The faculty and staff of The Primary Day School are dedicated to the principle that success in mastering skills in the primary grades fosters confidence, builds security, encourages independence and creates a positive pattern for the child’s future. The school’s task is to nurture a love of learning in our students. As the children become proficient with the core subjects, they experience pride in their daily accomplishments. Efficient and organized work habits are cultivated for productive, enthusiastic learning. When the educational journey begins with a solid foundation, we believe a good end is assured. In 1944, with the U.S. at war and the nation’s capital struggling to deal with that challenge, three women—Josephine Timberlake, Marie S. Buckley, and Lucille D. Schoolfield—made the unlikely decision to open a school for young children in the Washington, D.C., area. The Primary Day School was founded as a demonstration school for the Phonovisual Method, a unique, phonics-based approach to teaching reading and language arts. For its first decade, Primary Day students learned in space provided by local churches. The school flourished, and in the 1950s it began planning for a more permanent home. A parent donated land for a school building, a local foundation awarded a grant, other parents helped guarantee a mortgage, and eventually construction began on a new school. In the fall of 1955, Primary Day welcomed the first students to its new campus on River Road in Bethesda, Maryland. It remains the school’s home today. Primary Day continues to advance the legacy of its founders, offering an education that builds skills that are vital for school success, develops confidence in young learners, and fosters a love of learning that will stay with students throughout their lives. And just as important as our efforts to teach reading or math or science is our emphasis on developing character—on helping young children grow up to become good people as well as good learners. Primary Day's much beloved school mascot, a special bird with magical powers. At assemblies, Beako, in a very quiet voice, has the most amazing things to say. One by one, each child who has had a recent birthday comes up to the stage. Beako, talking in his secret language, whispers a message to the Phonovisual Specialist, who translates for the child. The message is about how much the child has grown, or what incredible things he or she has accomplished, or what exciting adventures lie ahead. Then Beako flies closer to sprinkle his invisible magic powder down the child’s shirt collar. Beako reminds the children that they are unique, worthy, and embraced by Primary Day’s warm and welcoming community. He helps them believe in themselves as people. He gives them reassurance of their remarkable ability to learn and grow. This simple and timeless principle—treat others the way you would like to be treated—guides how we relate to each other every day. A hands-on history lesson that fascinates children with the things that emerge from a trunk full of Colonial-era artifacts. Part of the Second Grade Colonial America unit. A Second Grade program full of French history, culture, and joie de vivre, culminating in a French Brunch that’s magnifique! Kindergartners celebrate Mexican language, culture, art, music, and food. Pink punch, purple popsicles, and plenty of people prancing in party hats help popularize the ‘p-pig’ sound, one of language learning’s pivotal players. This week-long search in early fall is a way for our newest students to get to know their new learning environment and each other. And by the time they find the elusive Gingerbread Men, three things will have happened. One, this eager group of newcomers will know their new environment inside and out, and will feel confident and comfortable being here. Two, they will know each other—strangers will now be friends. And three, that powerful, engaging, and sometimes magical experience we call a Primary Day education will have begun. Ivan first became associated with Primary Day in 1998 as a contractor. He joined the staff full-time in 2013 as Facilities Coordinator. In his free time Ivan enjoys music, movies and traveling. Merren joined Primary Day in 2018. Merren has taught visual arts to elementary and middle school students for more than 20 years, from assemblages to zoetropes. She is a painter and illustrator and began working in fused glass in 2010. Merren enjoys working with young artists because they are open-minded, curious, and enthusiastic. She believes everyone should feel the joy of making something with their own two hands. Alison joined the Primary Day staff in 2014. Prior to Primary Day, she worked as the Admissions Coordinator and taught Pre-K at St. Bartholomew Catholic School in Bethesda. In her free time, Alison enjoys spending time with her family and friends, traveling, reading, and going to the beach. Audrey began working at Primary Day in 2014. She joined Primary Day from Beauvoir, The National Cathedral Elementary School where she taught in the Early Learning Center. Audrey received a received a B.A. in Elementary Education from Loyola University Maryland. During her time at Loyola, Audrey student taught in a Baltimore City First Grade classroom and a Baltimore County Third Grade classroom. Audrey is currently a member of Loyola's Board of Advisors for the School of Education. In her free time, Audrey enjoys the outdoors, traveling, reading, and spending time with family and friends. Maureen’s association with Primary Day began in 2003 when her daughter became a student in Pre-Kindergarten. She served as an active parent volunteer on various committees and as co-chair of the 60th anniversary gala. Maureen joined Primary Day as the Business Manager in 2008 after working as the Director of Marketing for many years in the commercial architecture and interior design industry in Washington, D.C. Maureen has a B.A. in Art History. Susanna began her work at Primary Day in 2013. She was well acquainted with the philosophy and traditions of Primary Day since her son and daughter graduated from Primary Day in 2016 and 2010. Previously, Susanna taught at Horace Mann Elementary School, where she used the Columbia Teachers College Reading and Writing Program as well as Responsive Classroom. Prior to teaching, she was employed by a non-profit association devoted to the education of children around the world through museum programming. Much of her volunteer work has involved activities for children. Susanna enjoys spending time with her family, hiking, traveling, and reading. Dannette joined Primary Day as a staff member in 2005. She is currently the Executive Assistant to the Head of School and also a member of the Next School Placement Team. Dannette spent eight years in the Admission Office and three years in the Advancement Office. Both of her children attended Primary Day before she began her tenure. As a parent in the Primary Day community, she enjoyed volunteering for many different roles and events over the years. Dannette enjoys spending time with family and friends, reading, being outdoors and traveling. Olivia began teaching at Primary Day in 2012. She has a long history with Primary Day traditions since both of her children attended the school. Her daughter went on to graduate from Holton-Arms School and her son attends Bullis School. Olivia has used her French in many jobs including translating the CBS coverage of the 1992 Olympics in Albertville, France, and client administrating and event planning for professional athletes at ProServ, Inc. Her background in television and broadcasting allowed her to use her French quite regularly. In her free time, she enjoys being with her family including her French Poodle “Beau,” listening to music, and traveling, especially to France. Mary has been involved with Primary Day since 1992. She began as a parent of two graduates, and then, for the past eighteen years, has been the Office Manager. Mary was also the creator and director of GRASP (Golden Rule After School Program). She has a Child Development and Curriculum Certification from the State of Maryland and is a graduate of Furman University and Holton-Arms School. Mary and her family enjoy visiting Top Chef and Food Network restaurants throughout the country. Jeanne joined the Primary Day community in 2015. Previously, she supported upper level administration at Sidwell Friends School. Jeanne taught for twenty-six years in independent and public schools, worked six years in admissions at the collegiate level and for five years providing administrative support for upper level managers at independent schools. Diane began working at Primary Day in 2000. In STEM, she enjoys exploring science, nature and technology with hands-on projects to explore how things work. Along with the students, Diane curates Primary Day's outdoor garden and greenhouse. Prior to teaching STEM, she taught Pre-K. Diane is also Director of Lower School at Landon Summer. When her daughter attended Primary Day, Diane was a Girl Scout leader. Before coming to Primary Day, Diane was Projects Coordinator of the New Horizons Arts and Cultural Program at Children’s Hospital in Washington, DC. In her free time, she works as a wildlife rescue volunteer. Diane enjoys gardening, singing, and making miniatures. Lois began working at Primary Day in 2014. She has worked as a School Nurse for ten years in both public and private schools. She has taught every course in Nursing education except psychiatry at the college level. Lois holds a Vermont State certification in School Nursing. Lois spends her summers and long weekends in Londonderry, VT where she golfs with her husband as much as possible. Also she relishes the time she plays with all her grandchildren. Kirsten joined the Primary Day team in 2016. A Primary Day alum, she is delighted to return to the cornerstone of her education and a source of many happy memories. Kirsten has been a classroom teacher for over twenty years. She taught Second Grade and Kindergarten at Grace Episcopal Day School, and Kindergarten and Pre-Kindergarten at Beauvoir, The National Cathedral Elementary School. Kirsten graduated from Holton-Arms School, where her daughter is currently a student. Jaclyn began working at Primary Day in 2014. Before teaching here, Jaclyn taught First, Second and Third grades at Charles E. Smith Jewish Day School in Rockville, MD and also Primary Multiage at Independent Day School in Tampa, FL. She is a graduate of the University of South Florida. Scott Lawrence became the Head of Primary Day School in 2016. From 2011 until 2016, he served as the Head of the Lower School at Stone Ridge School of the Sacred Heart. He has been an educator of young children for over thirty years. 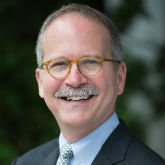 Prior to his tenure at Stone Ridge, Scott worked as Principal at the Seymour Elementary School, Head at St. Thomas School, and Head of the Lower School at Chase Collegiate School, all in Connecticut. A former Pre-Kindergarten and Kindergarten teacher, elementary librarian and reading consultant, Scott also served on the faculty of both Northwestern Connecticut College and, for nearly 20 years, at the University of St. Joseph, where he taught graduate level courses in Educational Leadership, Curriculum Development and Educational Research. Scott is the proud father of a daughter, Emily, who is married and lives in Boston, and a son, Zachary, who lives with his wife and three dogs in Connecticut. In his time away from school, Scott enjoys traveling, deserted beaches and cooking great meals with friends. Michal Levitas joined the Pre-Kindergarten team at Primary Day in 2015. She taught at Temple Emanuel Early Childhood Center for the previous three years. Michal has particular talents in opera, music, art and theater. Grace came to Primary Day in 2013. For the previous five years, she taught Chinese in the FLES program and weekend Chinese schools in Montgomery County. Before that, she taught children English in Taiwan for seven years. Grace enjoys reading, dancing and spending time with family and friends. Ryan began working at Primary Day in 2016. He joined Primary Day from Wonders Early Learning and Extended Day at Horace Mann Elementary School in Washington, DC where he worked as the Extended Day Program Director. After graduating from Towson University, he worked in a variety of non-profit organizations partnering with schools in Baltimore City and Washington, DC. Ryan has held various positions managing extended day programs for children, organizing and planning all sports and movement activities. Ryan enjoys traveling, golf, snowboarding, and spending time with his family and friends. Michael joined Primary Day in 2014. He earned his Accounting degree from the University of Maryland and is a proud Terp. Michael has worked in both the private and non-profit sectors; however, his most rewarding experience is being in an independent school environment. "The positive energy from the children motivates me and makes for a pleasant work day." Most recently, he served as Chief Accountant with an independent school in Silver Spring. Michael enjoys spending time with family and friends in a variety of activities. Mariana joined the Primary Day community first as a parent in 2014 and then as a teacher in 2015. Prior to Primary Day, Mariana worked at Holton-Arms where she taught in the lower school for six years and also served as the Lower School Social Studies Curriculum Coordinator, faculty representative for the Admissions Committee, and as Chair for the 1:1 Technology Sub-Committee. She has seventeen years experience as a classroom teacher, is fully trained in Responsive Classroom, and has attended Columbia University's Reading and Writing Workshop at Teacher's College. Kimberly began at Primary Day as a Pre-Kindergarten Teacher in 1995 and continued in this position until 1998, when her twin daughters were born. She returned to Primary Day as an Admission Associate in 2004 and remained in that position until 2012 when she returned to the classroom; teaching is her true passion. She began her teaching career working at Cashell Elementary School in Olney, MD as a Kindergarten Enrichment Teacher and the Director of the Before and After School Program. Kimberly is a native of Maryland, growing up in Darnestown and later attending Connelly School of the Holy Child, and University of Maryland. In her free time, Kimberly is a volunteer on the pediatric unit at Shady Grove Adventist Hospital and a Member of Kappa Delta Pi. She enjoys spending time with her family, taking long walks with her dog, cooking and traveling. Lisa joined the Primary Day staff in 2013. Before coming to Primary Day, she taught Junior Kindergarten and Kindergarten at The Haverford School for Boys in Haverford, PA. Lisa has completed her Wilson Reading System Level I Certification. In her free time, she enjoys reading, singing in various vocal groups, and spending time with friends and family. She loves to encourage a love of learning, creativity and independence in her students. Arianna joined the Primary Day faculty in 2004. She received her B.A. in Music from The College of William and Mary, went on to earn a Master’s Degree in Clarinet Performance from The University of Michigan, and acquired her Music Teaching Certification from The Catholic University of America. Prior to working at Primary Day, Arianna taught music at Rolling Terrace Elementary School, The Pinecrest School in Virginia, The Levine School of Music. She currently maintains a private clarinet studio with students accepted into Montgomery County Honors Bands, Maryland All-State Bands, Potomac Valley Youth Orchestra, and Maryland Classic Youth Orchestra. Arianna has attended numerous music festivals and conferences abroad and has performed with the Capitol Wind Symphony, Capital City Symphony, Washington Symphony, and Maryland Chamber Orchestra. Arianna is married to fellow music teacher and concert saxophonist, Jason McFeaters, and enjoys fishing, skiing, golfing, and spending time with her three boys, Sebastian, August, and Dash! Lori began teaching at Primary Day in 2009. She has been a Pre-K Teacher, an Assistant Teacher, and a Librarian. Lori taught Kindergarten and Second Grade in Pennsylvania and First Grade in Florida before coming to Primary Day. She graduated with a B.S. in Elementary Education from Kutztown University with a concentration in Early Childhood Education. She has completed numerous graduate courses at Lehigh University and Drexel University. Lori’s professional affiliations include Kappa Delta Pi and membership in the National Association for the Education of Young Children. In her free time, Lori enjoys spending time with her children and reading. Kristina joined the faculty of Primary Day in 2008. After a year of teaching Pre-K, Kristina moved to Second Grade where she has been teaching since. Kristina was the Co-Chair of the AIMS Accreditation Steering Committee from 2013-2016. A graduate of Primary Day, Kristina went on to attend Holton-Arms School for ten years before attending Bowdoin College where she majored in Art and Education. She combined her love of art and children by working as a children’s tour guide at the Peary-Macmillan Arctic Museum in Brunswick, Maine. Following college, Kristina completed her Masters Degree in Education from Marymount University, while teaching at The Harbor School in Bethesda. She also spent three years teaching at The Bethesda Community School. Kristina feels lucky to have had rewarding and varied experiences teaching Art, Pre-K, Kindergarten, and Second Grade before returning to teach at her alma mater. Perhaps her proudest accomplishment has been watching her three children follow in her footsteps and attend Primary Day. In her free time, Kristina enjoys running, coaching lacrosse, and most importantly, spending time with her family. Lynn has taught at Primary Day since 1989. She taught Pre-K for two years and then moved into the Phonovisual Specialist position, teaching Phonovisual to Kindergarten and First Grade. She conducts Phonovisual workshops for parents and for teachers at other independent schools in the area. Lynn is also the yearbook coordinator for Primary Day, working with parents to develop a yearbook for Second Grade students. She started her teaching career in Frederick County, VA as a First Grade teacher upon graduating from Shepherd University. While at Primary Day she completed her graduate degree from Hood College in Early Childhood Education. Both of her children graduated from Primary Day. In her free time, she enjoys volunteering in the Family Ministry at her church, traveling, reading and spending time with her family. Paz began working at Primary Day in 2018. She is both a native of Uruguay and a native Spanish speaker. Paz has a master’s degree in teaching Spanish as a foreign language as well as a bachelor’s degree in elementary education and graduate certifications in learning disabilities in Uruguay. For the past 15 years she has been teaching Spanish to students of all ages. Paz understands that teaching a language is also teaching the culture of the Spanish speaking world. In her free time, she enjoys being with her husband and three children spending time outdoors, camping, sailing and visiting museums. Karen joined The Primary Day School community as a PE teacher in 2017, bringing with her years of experience in health and fitness. Prior to teaching at PDS, Karen managed several gyms and worked as a Pre-K teacher in southern California, where she also developed the physical education curriculum for students enrolled in the extended day program. With a passion for helping others live healthier and happier lives, Karen also works as an independent Health and Fitness Coach, and in her spare time enjoys spending time with family, continuing education courses, trail running and yoga. Adam Roach joined Primary Day as Librarian in 2017. The son of a teacher, Adam has worked in schools since he was a student, himself. After teaching Middle School Language Arts for six years, he made the transition to School Library Media in 2013 and has worked in public, private, and charter schools throughout Washington, DC and Virginia. In his free time, Adam works to raise money for hospitals in DC with the Extra Life charity organization. Adam is the father of one son, James, and lives with him and his wife, Margaret, in DC. Ashley began working at Primary Day in 2013. Prior to coming to Primary Day, Ashley worked at St. Stephen’s & St. Agnes School in Alexandria, Virginia as a Kindergarten Teaching Assistant, Substitute Teacher, and Staff Member in the Extended Day Program. She has spent the last 15 Summers working as a Teacher and Counselor at Holton-Arms Creative Summer Camp. She enjoys the variety of classes she has taught at Creative Summer and currently teaches a jewelry making class. Ashley grew up in Bethesda. She is a graduate of Norwood School and St. Andrews Episcopal Day School. She holds a Bachelors of Arts Degree in English from Principia College and a Master’s Degree in Elementary Education from Marymount University. Cameron joined Primary Day in 2016 as a member of the GRASP staff. After graduating college with a degree in Theatre, she spent a year workshopping a new musical based on the children's book series Petalwink the Fairy. During this experience, she had the opportunity to tour the Midwest performing the musical and educating children in theatre. During the summer, Cameron also works as a camp counselor at Holton-Arms Creative Summer. In addition to working at Primary Day, she owns a pet care business called "Crazy4Pooches". She is thrilled to continue working at Primary Day as a teacher in the GRASP program. Chris has served as the Math Specialist at Primary Day since 1996. She also works as a reading comprehension teacher and tutor. Chris began her teaching career in Montgomery County Schools as a Third and Fourth Grade teacher. She has also served as the vice president and business manager of George W. Shaffer Associates. She has two grown children and four grandchildren who attended Primary Day. Chris enjoys golf, bridge, and is an active volunteer in The John Carroll Society and The Christ Child Society. Cindy joined Primary Day as a consultant in 2016 and as a permanent member of the administrative team in 2017. With a proven approach of establishing focused, measurable goals and priorities to meet objectives, Cindy has served both non-profits and schools on the east coast for over twenty-five years. In the DC Metro area, Cindy has worked in advancement and mission development at The Barnesville School, Browne Academy, Georgetown Visitation, Maret School, and Stone Ridge. She is passionate about her role at PDS and the opportunity to engage the community in the strategic planning, execution and messaging necessary to sustain a healthy, mission appropriate enrollment. Emily joined the faculty of Primary Day in 2011. Prior to coming to Primary Day, she taught Second Grade in Anne Arundel County. Emily graduated from the University of Maryland, Wake Forest University, and Churchill High School. She loves Primary Day, spending time with her family and cheering on the Capitals! Enrichment classes are also offered as part of the After-School choices. More detailed information about our After-School Programs below. GRASP Supervised Play is available Monday through Friday from 3:00 pm to either 4:45 pm or 6:00 pm. When school is closed due to inclement weather, GRASP will be closed. Please note: These rates are for the 2018–2019 school year. Enrichment classes are offered from 3:15–4:15 pm Monday - Friday. Our Enrichment Program offers our students at all grade levels an opportunity to participate in special classes after school that expose them to an array of activities and skills. Classes are offered in the Fall, Winter and Spring and a different class is offered each day. Past offerings have included chess, lacrosse, cooking, dance yoga, Tae Kwon Do, and Mad Science. Our graduates have an outstanding record of achievement in the area’s leading independent and public schools, showing a remarkable ability to succeed inside and outside the classroom. A Primary Day education gives children the academic foundation, social skills, and confidence that will allow them to flourish as they move to Third Grade and beyond. Primary Day understands the importance of finding the right school fit for every child. Our Head of School and Next School Placement Team personally meet with Second Grade parents to help with the transition to Third Grade. We know each child and the regional school landscape and use that knowledge to help guide each family as they determine the school their child will attend following Primary Day. We provide guidance and information during every stage of the decision-making process. What schools do children attend after they graduate from Primary Day?